What's Up With My OEM's SLA? What’s Up With My OEM’s SLA? 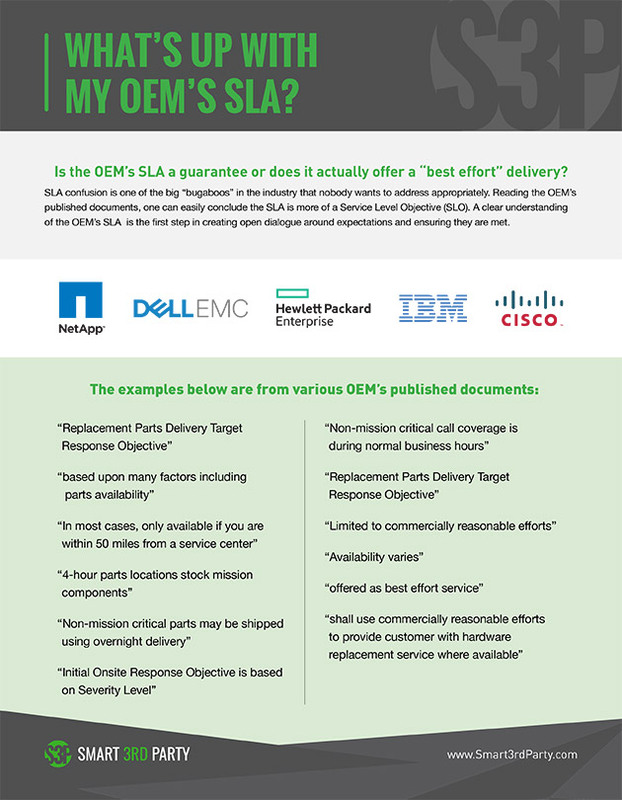 Is the OEM’s SLA a guarantee or does it actually offer a “best effort” delivery? SLA confusion is one of the big “bugaboos” in the industry that nobody wants to address appropriately. Reading the OEM’s published documents, one can easily conclude the SLA is more of a Service Level Objective (SLO). A clear understanding of the OEM’s SLA is the first step in creating open dialogue around expectations and ensuring they are met.